There was a color issue selecting files in Windows Explorer, it is corrected now. 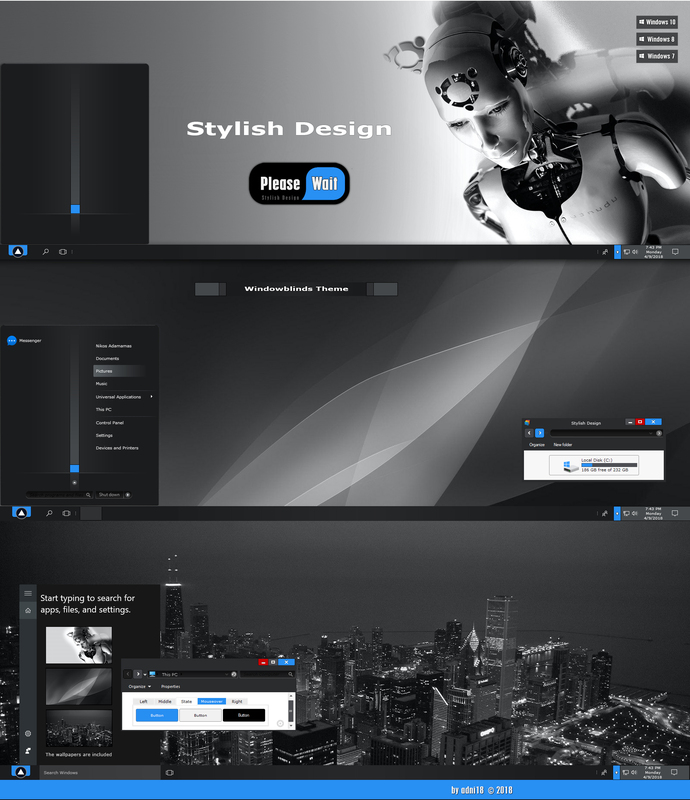 This full featured theme can be used with Windows 7, 8 and 10. Very nice skin Nikos, glad to see you skining again. Thanks Don, I missed skinning... As I saw you are doing great work in skinning!! Congrats mate! Nice one my friend, love the simplicity! Perfection! Very nice to see a new skin from a true Master. I like it but I cannot use transparency settings on the start menu. The bottom left where the search box is remains solid, at least on my computer. Thank you dear first-footer ! Dear JuniorCrooks I guess you are right, just wonder why, I just have used the same type of graphics as all the rest Start menu graphics... Thanks for your purchase! Very nice work Nikos. I like this skin. Oh yea a new adni! (refurbished) Cleaner! Beautiful blind my friend,very clean and......well just Love it! Can Start 8 be used with this theme? Otherwise this skin seems to cover a lot of the little details other similar skins miss and I'm really enjoying it. Thank you! This was fixed with a recent update. THANKS!